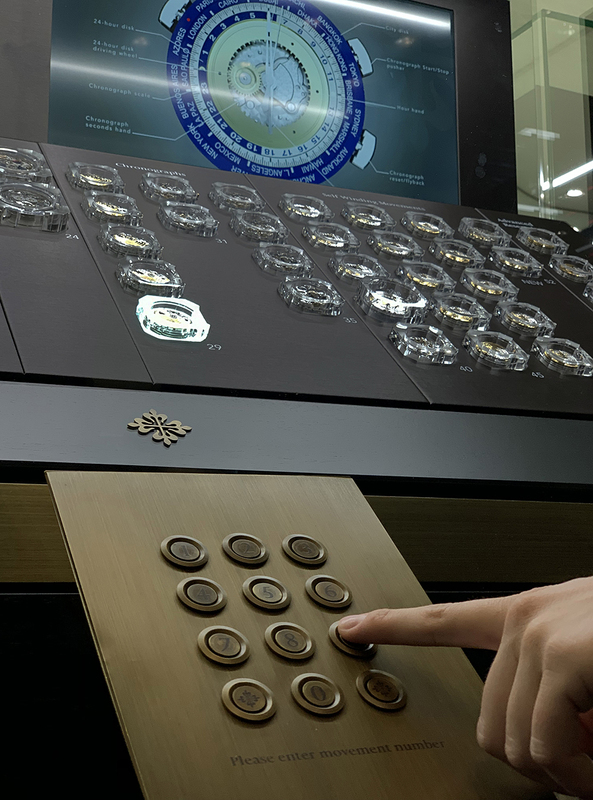 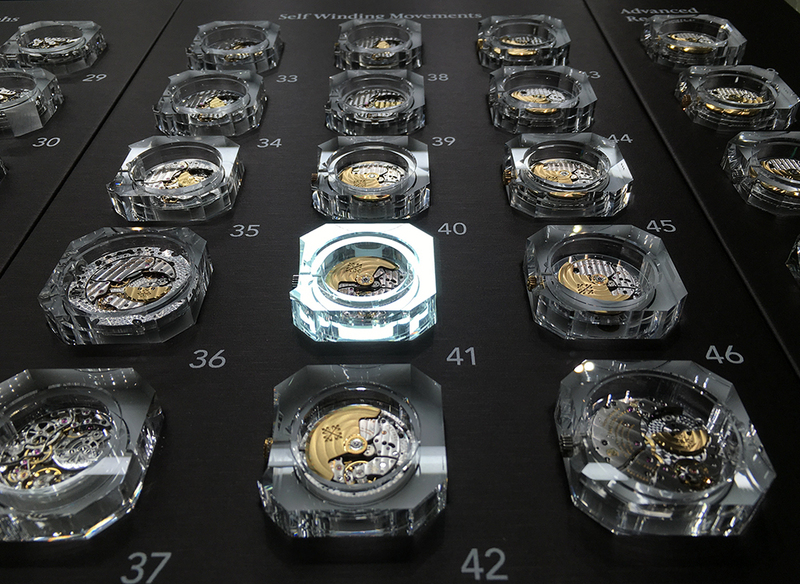 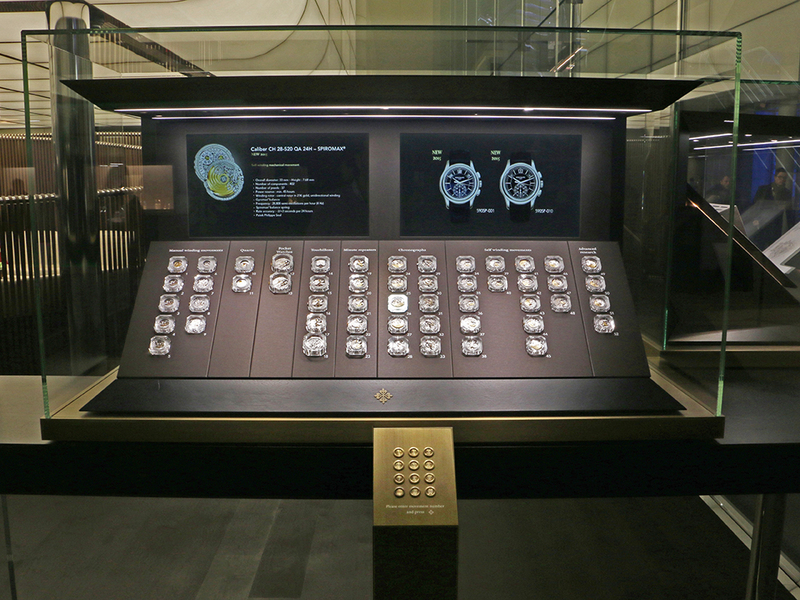 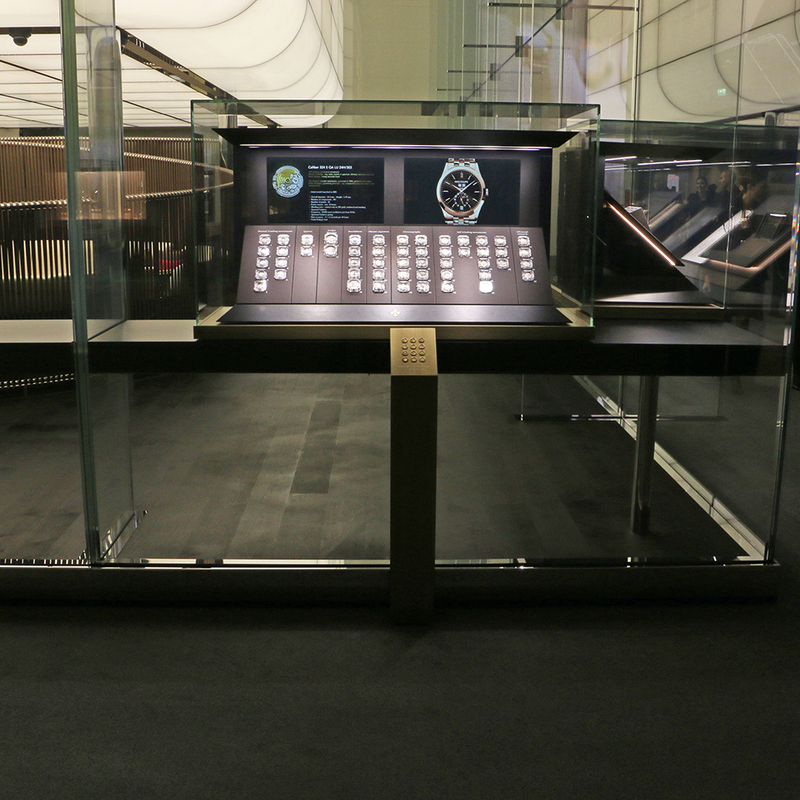 Patek Philippe at Baselworld: movement's display case. 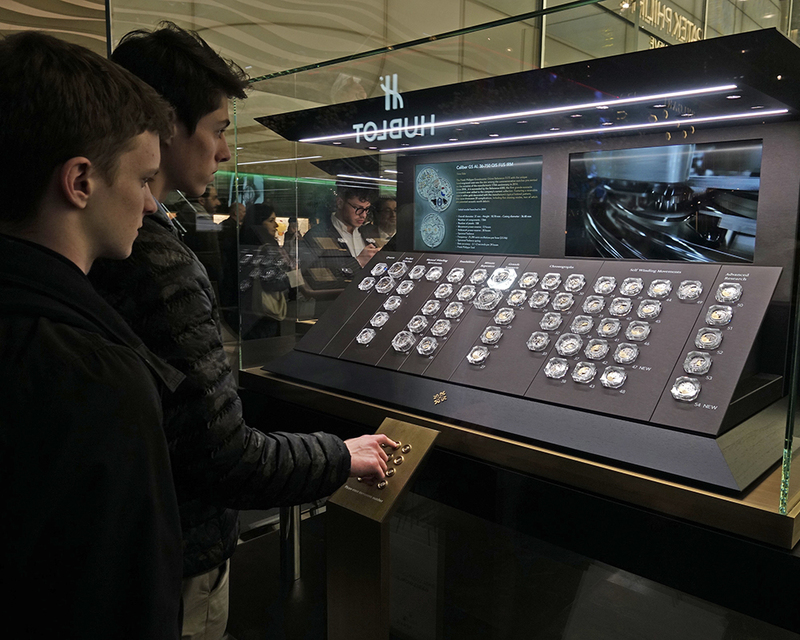 Movements from the celebrated watchmaker presented in one display-case. 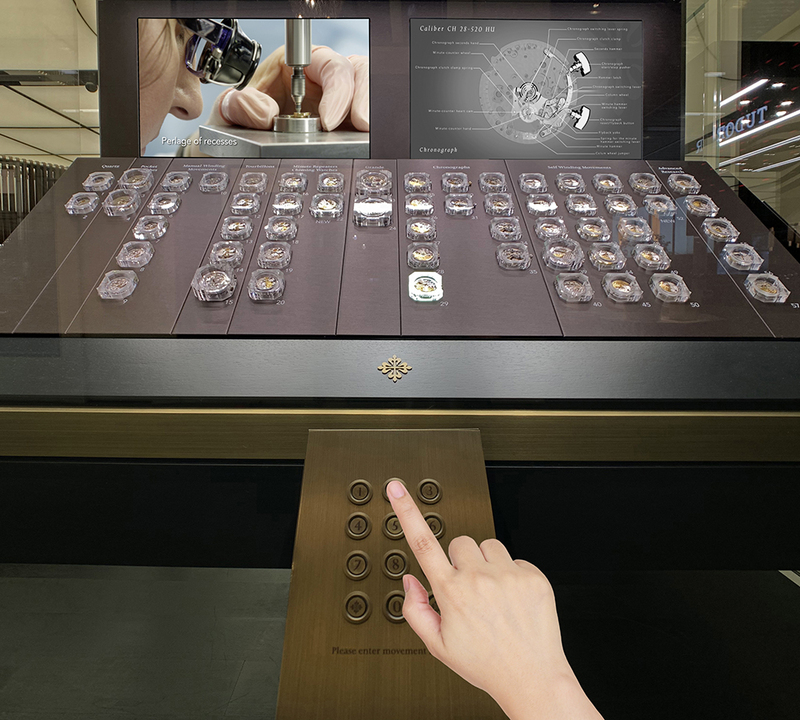 Visitors can choose which movement they want to inspect, all accompanied by information videos.